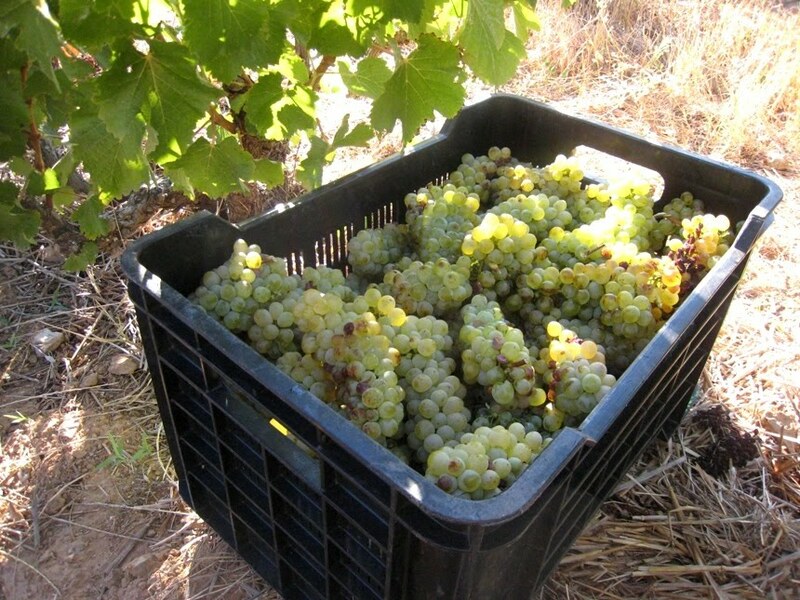 A short bit of news from the Mullineux Cellar is that they've finished harvesting all their white grapes and are getting stuck into the reds in a big way this week! 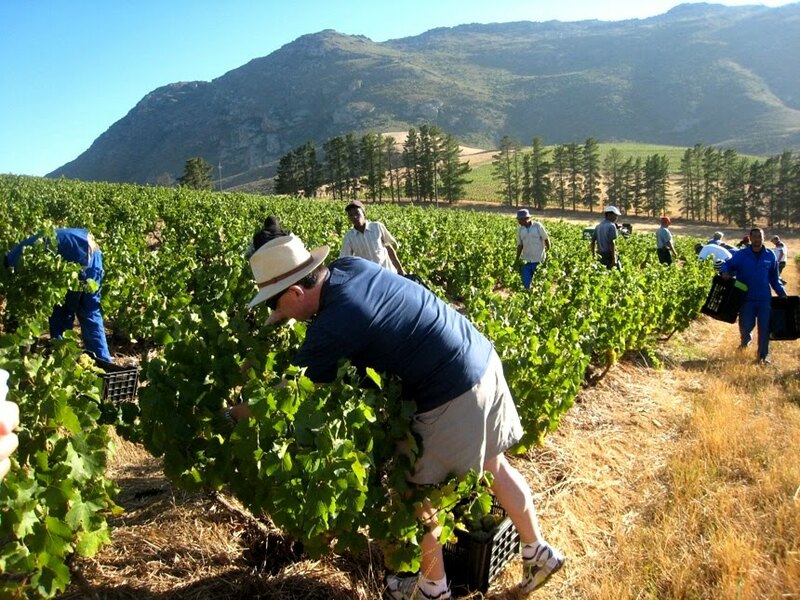 The heat is keeping the whole Swartland on its toes, but so far everything looks good as you can see from these lovely pictures! 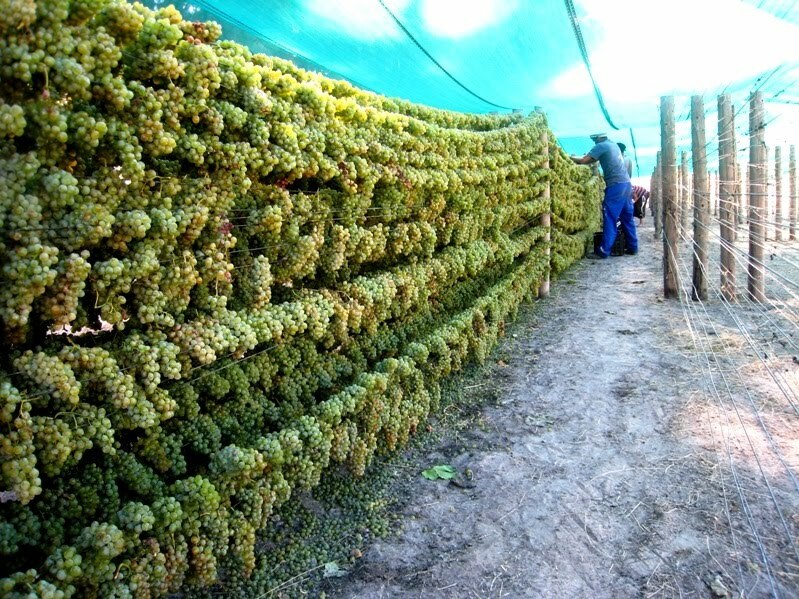 Hanging out the straw wine! 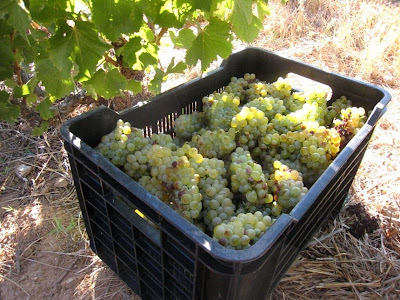 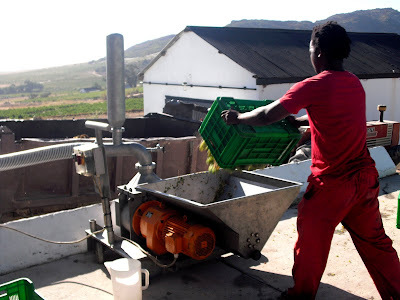 On the other side of the Riebeek Mountain, in the Paardeberg Adi Badenhorst and team are also in full harvest swing on Kalmoesfontein. 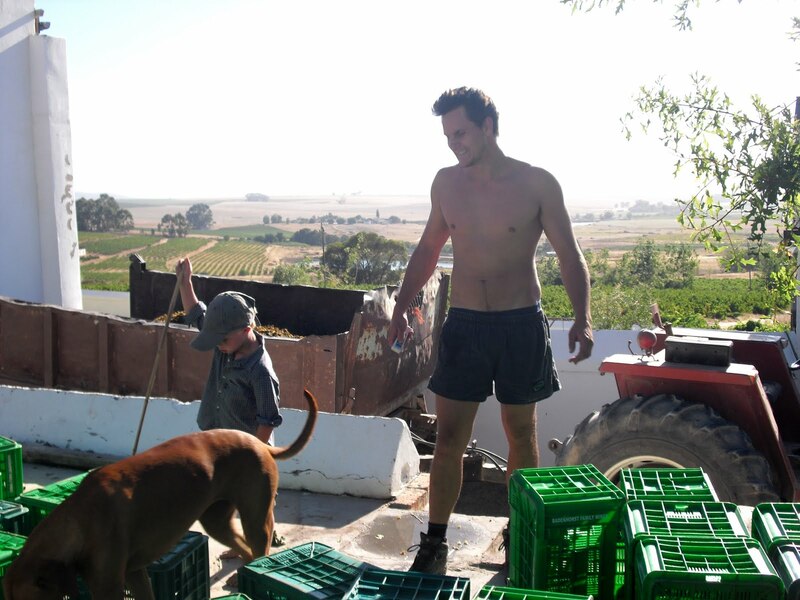 Everyone has jumped in to help get the grapes in to the cellar in the scorching Swartland sun. Cousins are becoming drivers, Jasper Wickens is once again our assistant winemaker and even young Samuel Badenhorst is getting in on the action (winemaker in training!). Neighbour Barry Schreiber was there to count every berry of Chenin Blanc and we have a female French import, harvest hand Helena Kotzev. 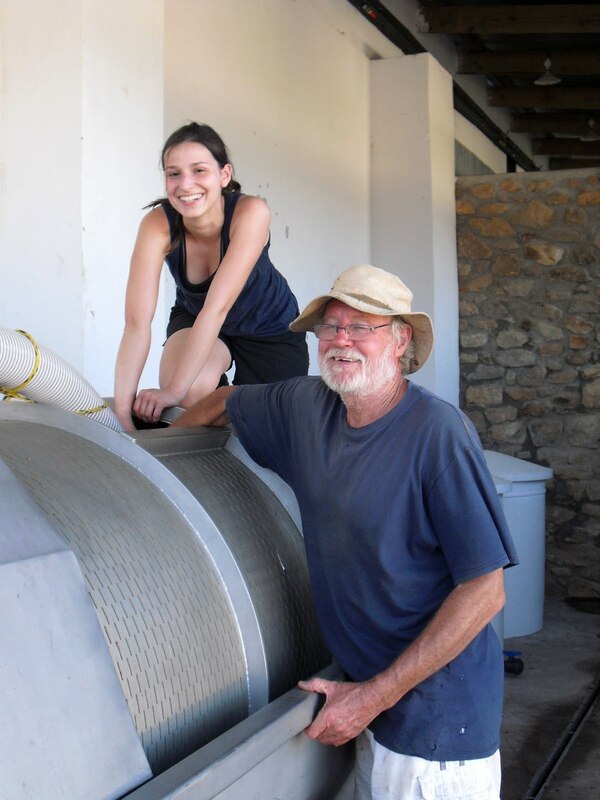 Here they are loading the press.